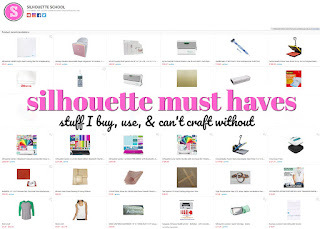 I have never had more love for a Silhouette product than I do for the Silhouette Pixscan Mat...unfortunately not all Silhouette crafters can say the same thanks to Pixscan registration errors. 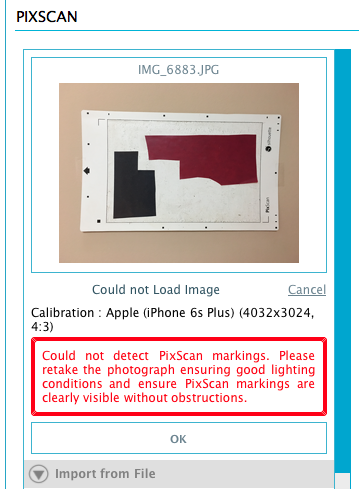 If you've met the Pixscan registration failure error I really hope you'll give your mat another chance because the Pixscan technology is jaw dropping! 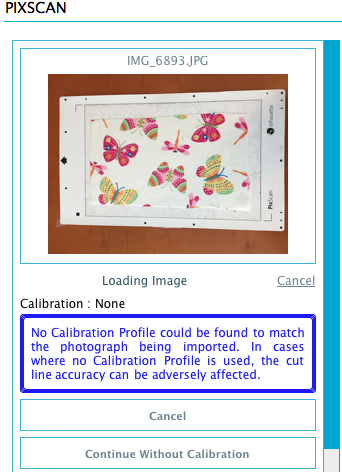 If you are getting a calibration error when you try to upload a Pixscan image into Silhouette Studio, you need to calibrate your phone or camera by using the Calibration test sheet. 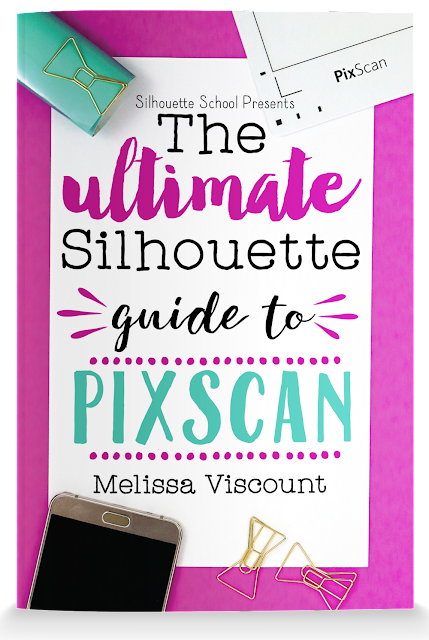 Here's a step by step tutorial on how to do the Silhouette Pixscan Camera Calibration. If you are not getting a calibration error, but instead are getting a Registration Failure error when your Pixscan image is loading in Silhouette Studio, it is due to the actual picture. 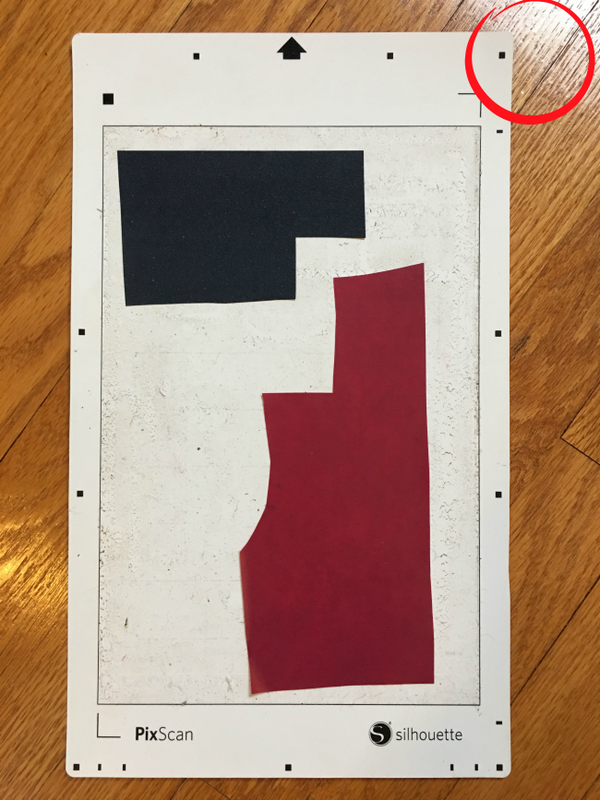 Material placed on the Silhouette Pixscan mat should be completely inside the black border on the mat. 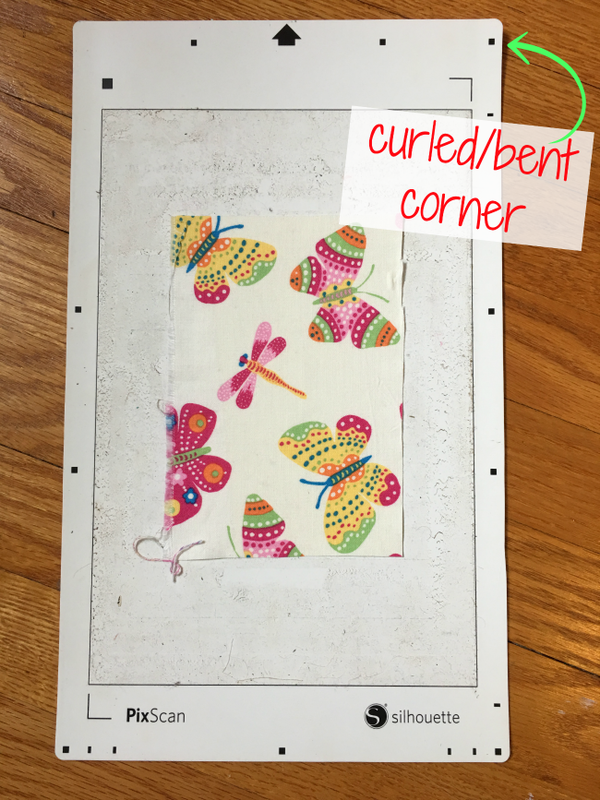 Place your Pixscan Mat on a flat surface to take the picture. It's best to place it on the floor or a table to ensure it's completely flat. 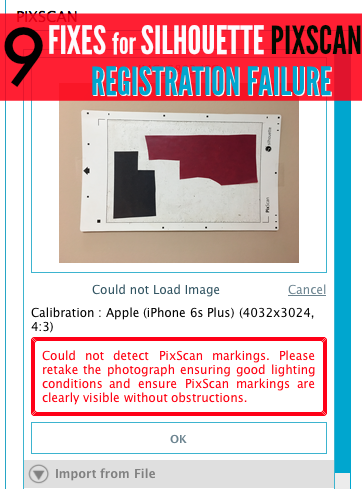 Even the slightest bend in the corners of your Pixscan mat can cause a registration failure. Basically if your mat is causing a shadow, it's not flat enough. Take the photo of your Pixscan mat with plenty of light - preferably without the flash Make sure there are no shadows anywhere in the image which would make some areas darker than others. You also want to avoid any glares which might washout some of the registration marks. 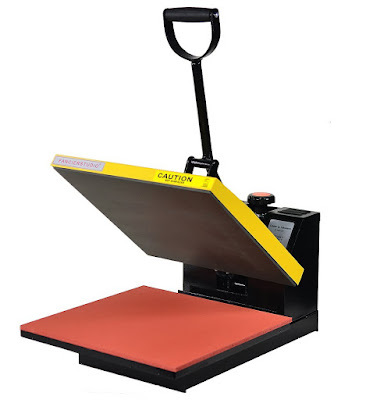 Take the picture of your Silhouette Pixscan Mat from above and as straight-on as possible making sure you have a good focus and straight angle. The entire Pixscan mat should be captured in the picture and ideally you should get a little bit of the background. Don't use your camera's zoom when taking the picture of your Pixscan mat. 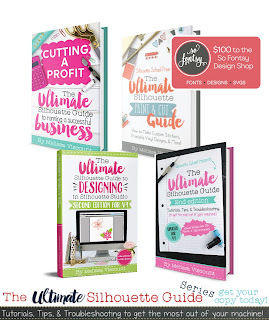 Do not reduce the quality, size or resolution of the picture when you email it to yourself. It may take a few minutes for it to load into the Pixscan tool in Silhouette Studio, but a full size image is ideal. 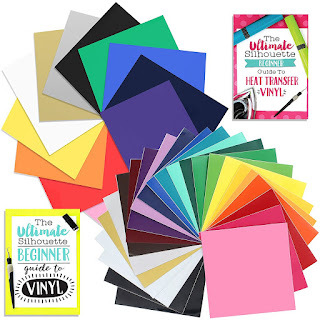 Now that you know how to avoid the issues that can cause Silhouette Pixscan registration failure, you can start enjoying your Silhouette Pixscan mat with your CAMEO, Portrait or Curio. 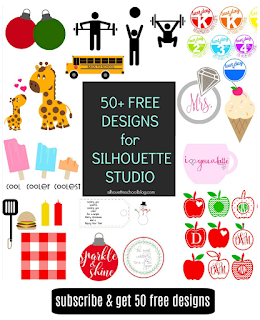 Check out all my Silhouette Pixscan tutorials here or grab my Pixscan mini guide! 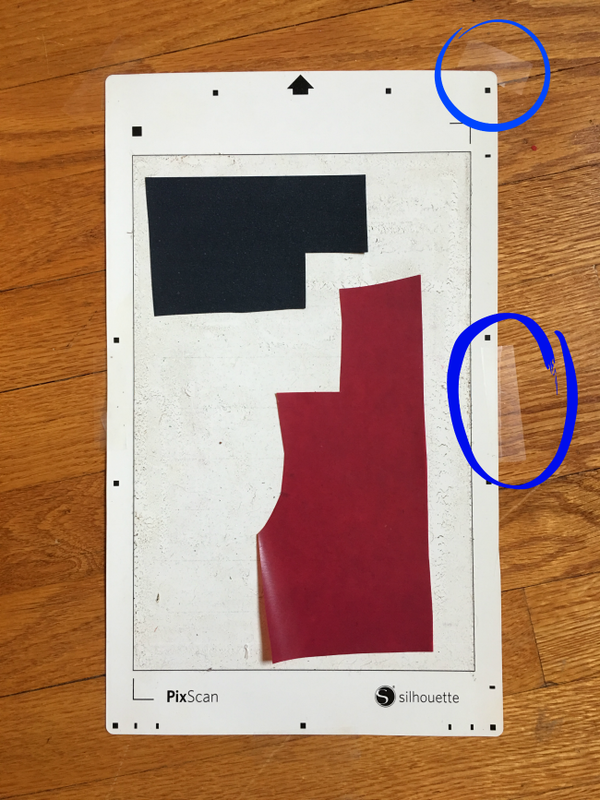 I have s pixscan mat- it looks different from yours it more square than rectangle. 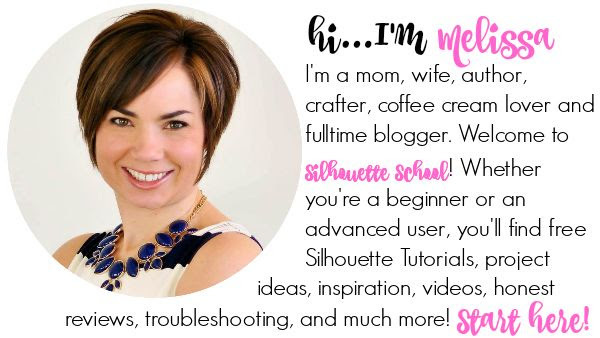 I have emailed silhouette America 3 times and have received no help. I can all the way to the end of my project and ready to cut and IF it starts to read the registration marks on the mat (get lots of registration marks not found error) when it gets to the bottom it just rolls right out the back. Is there a pixscan mat setting in Cameo 3 because on my cameo 3 automatically sets no "no mat" and when I scroll down there is no pixscan mat options (yes the pixscan mat is on my screen). I even purchased a second mat in case I had a defective one. did you figure out how to fix the problem??? 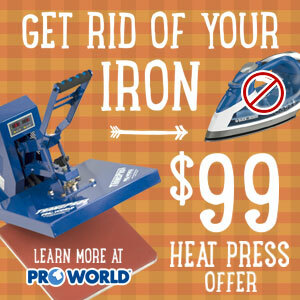 i have the same exact problem my sil 3 won't even let me add pixscan mat theres no option for it! I have a cameo 3 and have the full size pixscan mat and have been trying for days to register my mat on the machine. It is doing the same thing every time. Just like yours, it is pushing the mat all the way through the machine and not stopping to read the bottom registration mark. I dont know what else to try. I have redone the pictures over and over for calibration as well as the mat with my project on it. How did you solve your problem as I am at my wits end. Youtube and the internet have not provided me with any solution to fix the issue. Please Help! You have saved my sanity! I could not understand why I could only get the pixscan mat to work 10% of the time. Taping it down for the photo was the key. I have 2 different size PixScan mats. When calibration how do I know what paper size to use for each as they are listed as letter, ledger, A4 and A3. 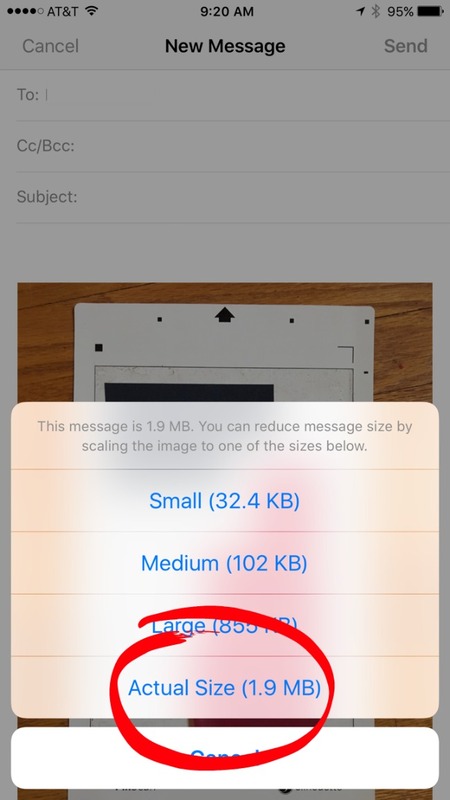 I know the one is letter size. the other mat's cutting size is 7.5" x 11.5". What is your take on the PixScan app? I used my PixScan mat for the first time last night and thought the app would be easier! Well it worked for cleaning up the pic but after detecting the registration marks, my Cameo 3 would say job complete but it would not actually cut. I had to do the importing way to get it to work. I finally got it to where I got a picture of the mat on my phone but now I dont know how to send it to me!!! I have 5 pictures on the bottom, first one is an arrow and the last one is where you send it to the silouette but no where does it say for me to email it to myself so I can get it on my computer. I am soooooo frustrated !!!! Hi! the only pixscan mat available in my area is the one for curio so I got it since it's 12 in x 8.5 as well. Do you have hacks on how to get it to work on portrait? 'i always get a "registration failed" everytime i send it to portrait. thank you!